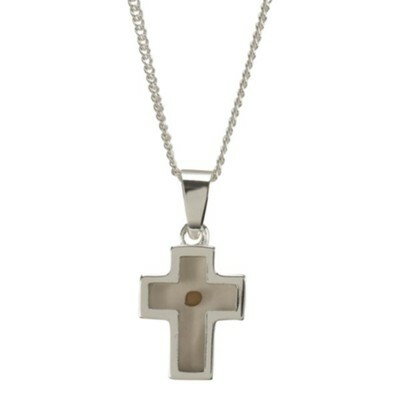 Box cross pendant with genuine mustard seed center surrounded by clear acrylic with silver plated trim; 0.5" pendant on 18" chain. Carded with sentiment verse. I'm the author/artist and I want to review Box Cross, Mustard Seed, Necklace.